Ria Loves Pawlish: 3 Free Zoya Polishes Promo Starts Monday!! 3 Free Zoya Polishes Promo Starts Monday!! spent the day rearranging my polish/craft area... it's still not set up completely, but i *think* we're done moving furniture! polish storage is still an issue... i'm using the three drawer chest from Michaels, but they are so poorly made that the drawers stick and don't slide well.... so i'm really open to suggestions! i just wanted to do a quick post today to let you know about the amazing promotion Zoya is having! i saw it on Facebook and just had to share :) starting this Monday (January 7, 2013) you can pick any three polishes and just pay $10 in shipping :D that is definitely not a deal i will be missing out on! the promo code is ZOYA2013... but be sure to check out Zoya's official blog post on it (http://zoyanailpolish.blogspot.com/2013/01/color-your-world-in-2013-with-zoya-nail.html) because there are a few collection and treatment restrictions. but seriously, you can't complain about getting any three polishes for that price! if you haven't picked up these three from the Ornate collection, i highly recommend them as your three free picks :) click the names to see my reviews on them! 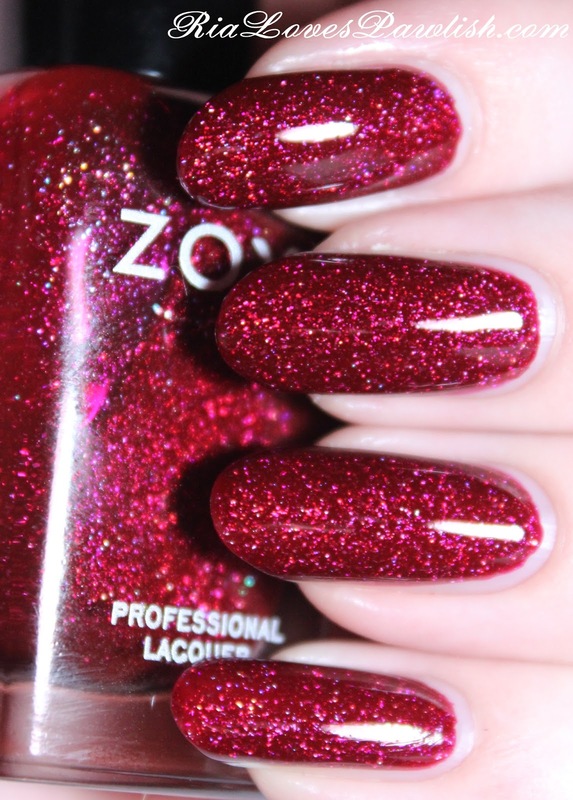 and my personal favorite... Zoya Storm! those are the same three I picked from the Ornate collection! for my promo order, I picked FeiFei and two polishes I never heard of...i think a lilac shimmer and a pinky shimmer. i can't decide what i want!! Thanks for the great swatches! The colours are so gorgeous! And thanks for the heads up about that great promo, I only have one zoya (Maisie) but am totally lemming Phoebe, Storm and Stephanie (my namesake). Too bad they don't ship to Canada, they have such great deals and awesome colours. It's like 'Come on Zoya!!!! Let me buy some nail polish!!!! I have the money!!!!' LOL. Anyways, I guess they'll stay on my wish list, I haven't managed to find a site with the colours I want that ships to Canada, has the colours I want, and on which the shipping and/or the actual price of the polishes isn't crazy. So until I manage to get a US address or Zoya starts shipping internationally, I'm just going to deal with it, because I'm sure not spending $13+ on them. oh, my gosh, i can't believe they don't ship to Canada. that blows! it's always annoying when a brand you really want isn't available in your country. Pixi Haul... Clearance at Target! Participate In Sation's Salon Shout-out and Win! What I Got From The Recent Zoya Promo! Sally Hansen Insta-Dri Grape Going!